Two LTIIA members have worked together to produce a green rating for Cross Sound Cable, an undersea electricity transmission facility in the US. In August 2015, Argo Infrastructure Partners placed US$120 million of private placement debt to fund a portion of the acquisition of the Cross-Sound Cable project. This undersea cable project transmits power from renewable rich New England into Long Island, New York, New York, which has historically faced both gas and electric transmission constraints. Cross Sound Cable is likely to be a critical infrastructure asset during the coming decades. The State of New York has made renewable development a primary policy goal under its Clean Energy Standard, and is implementing policies that are flexible enough to incorporate transmitted green energy to attain carbon reduction goals. This transaction received the strongest Green Evaluation score by S&P Global Ratings i.e. 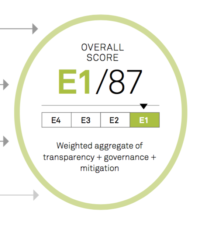 a Green Evaluation score of E1/87. This reflects strong scores in Transparency and Governance, as well as substantial carbon savings resulting from the displacement of fossil fuel based generation with renewable power. 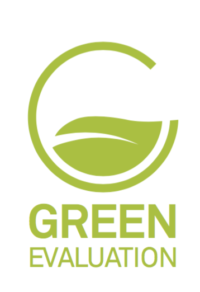 The financing also achieves a strong overall Environmental Impact score due to the entirety of the bond’s proceeds being allocated to a qualifying green project (and not to general corporate purposes). While not specifically labelled as a green bond, S&P believe that the project has substantial green attributes because of its ability to transmit green energy into Long Island that would otherwise be absent, in pursuit of New York’s ambitious decarbonization standards. View the full report on S&P Global Ratings Green Evaluations website.